Made of recyclable plastic, this shapely bird house can be mounted on every even window pane thanks to the innovative two-sided suction cups. 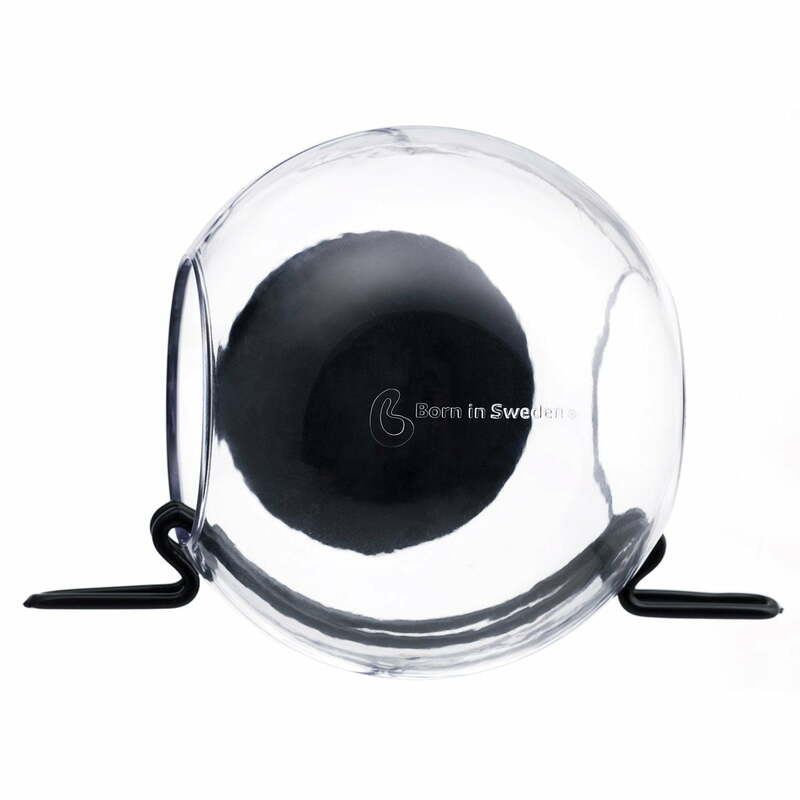 The carefully selected materials ensure that the Bird Feeder can also handle extreme temperatures and ultraviolet rays. The feeding place is well-suited for small birds; unfortunately bigger birds have to stay out due to space constrictions. A hole at the bottom ensures the necessary drainage after rain. For the inventive design the young design forge Born in Sweden and their creative person Pascal Charmolu were awarded with the Design Plus Award 2009 and nominated for the German Design prize 2010. All three to five months the bird house should be demounted and cleaned, on the one hand, to preserve the material and on the other hand, to make the birds will feel good, too! But don't worry – the Bird Feeder is dishwasher safe. But if you want to clean it by hand, the suction cup has to be soaked in hot water for a few minutes – this way it keeps its shape and stability. And don't forget: before mounting, the window should be clean! 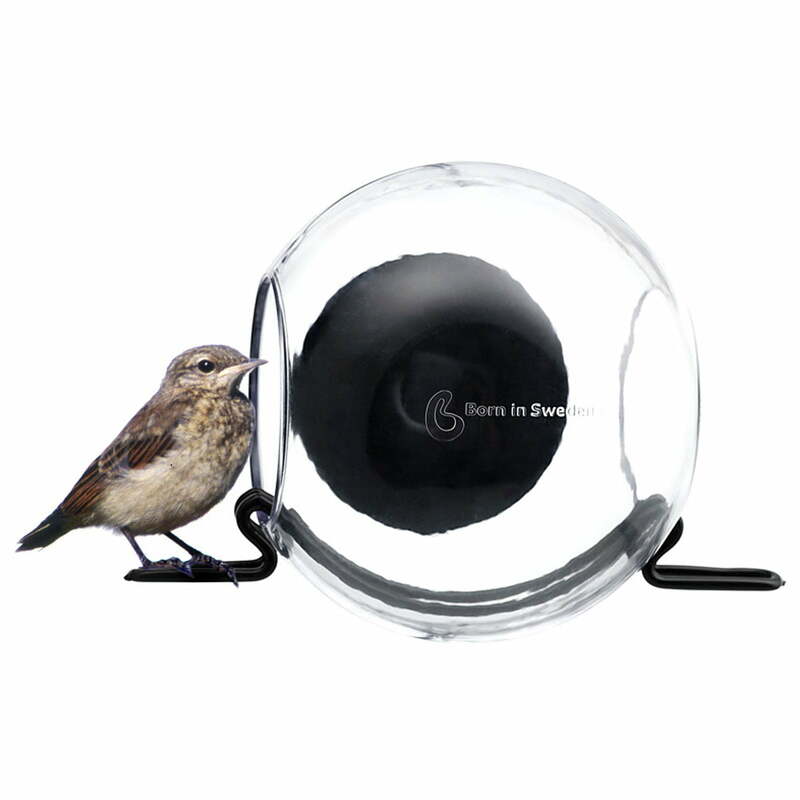 Product single image of the Bird Feeder feeding station by Born in Sweden. The product is made of plastic and stainless steel and is provided with a hole at the bottom for the necessary drainage after rain. The feeding place is well-suited for small birds; unfortunately bigger birds have to stay out due to space constrictions. 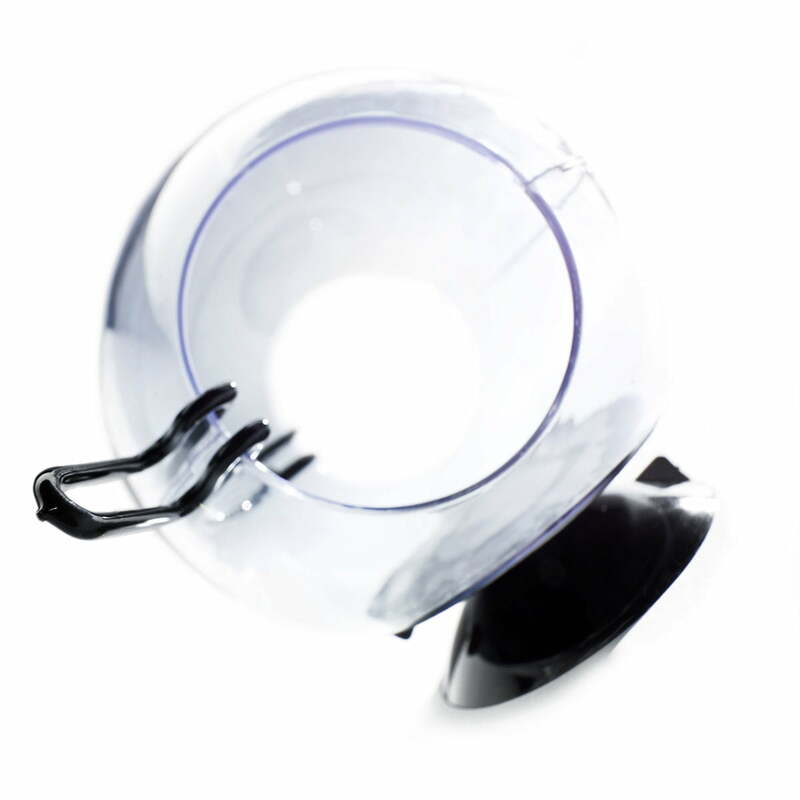 We recommend demounting and cleaning the bird feeding station every three to five months. side view of the Bird Feeder feeding station by Born in Sweden. Made of recyclable plastic, this shapely bird house can be mounted on every even window pane thanks to the innovative two-sided suction cups.